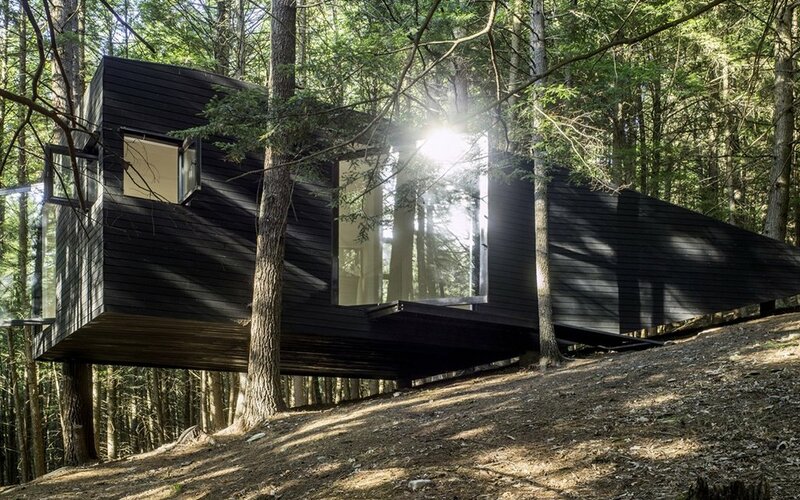 Did you go to the woods with a group of friends and build a 360-square-foot treehouse to house your weekend getaways? Because that’s what a group of friends and the architects at JacobsChang did one weekend. And if that’s not a great way to bond with friends and imbue a place with good vibes, we don’t know what is. They wanted it to be like a barn raising, a tradition founded in England and carried out by New Englanders stateside, in which a community gets together to build a structure over a few days. The friends met on a 60-acre tract of land in Sullivan County, a couple of hours north of New York City, and used this fast-paced, cooperative style of craftsmanship to build a treehouse. There are no services here — no water or piping — so Half-Tree House (as it’s called) is a design-forward style of glamping. 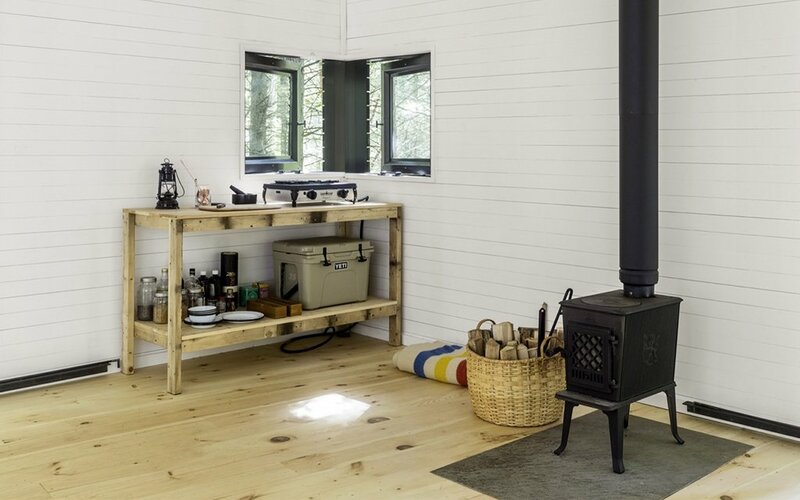 For heat, there’s a Norwegian stove called Jotul, but otherwise it’s pack in, pack out. 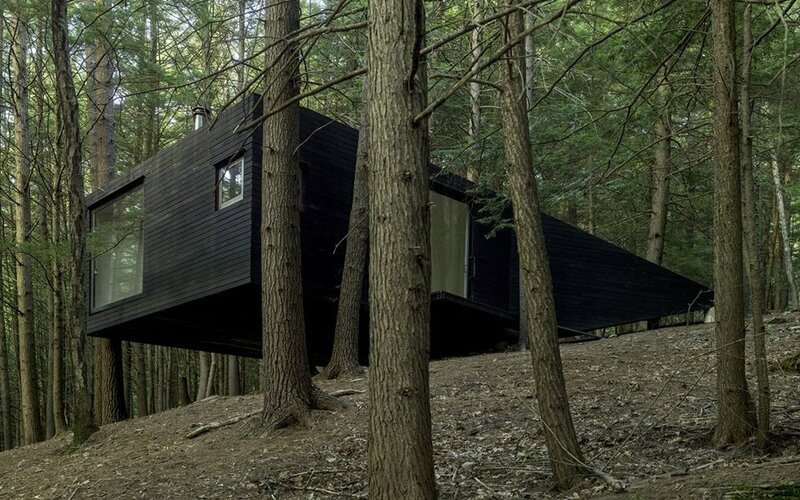 Because the land is sloping, the pine trees surrounded the structure are used for support to keep it off of the ground. 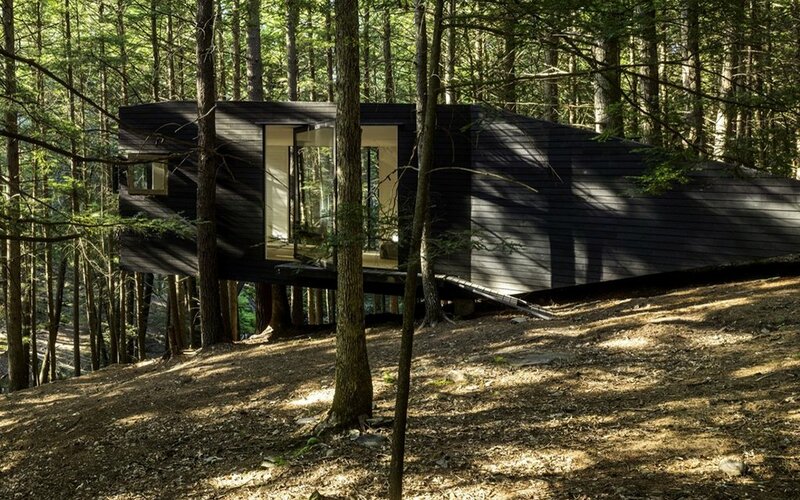 They used felled logs gathered from the property for the walls, weatherproofing them with Scandinavian pine-tar so they can better handle the cold. 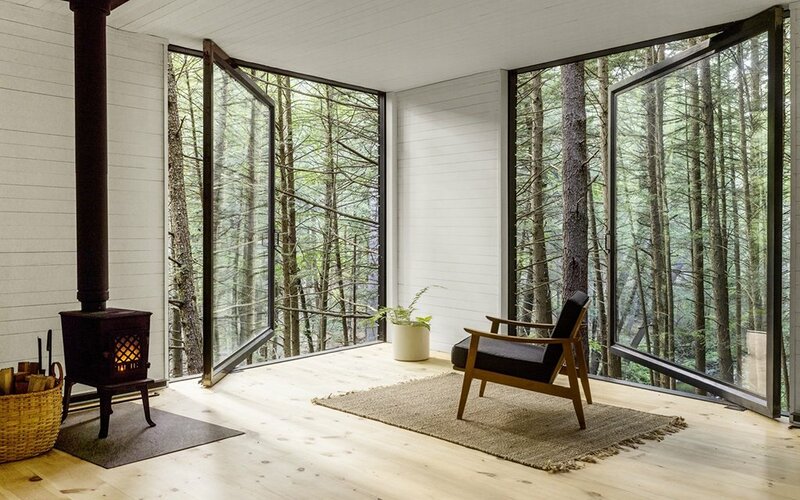 It’ll make for a great escape, or bucket list addition.